While a PC may be the way to go if you want the highest quality, 4K, VR capable, might make you toast, gaming setup in the world, however, with the costs of parts going down (as shown on PCPartPicker), the industry is getting ready to drop more and more high-end gaming laptops. It isn’t hard to see that the growing market wants more wirelessness and portability with their devices, and as fewer people buy dedicated PCs, laptops and tablets are on the rise shown by Statista’s data. So, whether if you are new to gaming or have previously owned a console or PC and want to venture into uncharted territory, we have compiled a list of the five best gaming laptops to consider buying in 2019. Introducing the world’s most powerful gaming laptop. Area 51m right off the bat hit’s multiple home runs with an NVIDIA GeForce RTX 2080 8GB GDDR6 video card and a 9th Generation Intel processor that can rip through any game you through at it. Adding on to that, it features a whopping hard drive of 2TB RAID0 (2x 1TB PCIe M.2 SSDs) plus a 1TB (+8GB SSHD) Hybrid Drive and 64GB of memory. It doesn’t stop there either; it features CPU and GPU upgrades making the laptop future proof, Dual- ntake/Dual-Exhaust Airflow Design, High Voltage Driving Fan, Load-balancing Heat Pipes, Copper Fin Stacks, Thermal Control, and all being whisper-quiet. While being extremely impressive, the biggest downside is its battery life at about 3 hours so keep that charger on hand if you expect to get long hours of use out of this beast of a machine. While the horsepower in Area 51m is incredible, for people who are looking for a more travelfriendly laptop that is small, compact, still packs a punch, and goes without needing a charge for a while, the Gigabyte Aero 15X v8 is the gaming laptop for you. The battery alone is 94Wh lasting a little over 10 hours with a Full HD 144Hz IPS Panel, and a 5mm thin bezel design making it slick and beautiful. It holds an NVIDIA GeForce GTX 1070 GDDR5 8GB video card and an 8th Generation Intel Core i7-8750H processer that is perfect for most out of the house gaming. The memory is 16GB DDR4-2666MHz (with a max of 32GB) and a hard drive made of an M.2 NVME PCIe 512GB SSD which is plenty for most games. The Gigabyte Aero 15X v8 still packs a punch compared to the Area 51m, but its main feature is the battery which for people who want a device that continually doesn’t need to be charged this is perfect for you. One word, versatile. First, there was power, then there was the battery life, but now the MSI GS65 Stealth Thin takes both power and battery life and gives you one of the most balanced and excellently designed gaming laptops on the market. Featuring a gold and black 15.6″ display that is 0.69″ thin allowing for an incredible wide-view gaming experience. 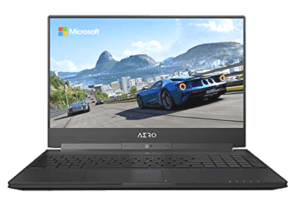 It holds an Nvidia GeForce GTX 1070 Max-Q video card and an 8th Generation Intel Core i7-8750H processor similar to the Aero 15X in that it can handle almost any game you throw at it. 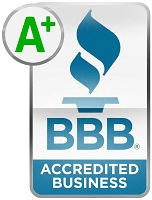 a sold device that just has the perfect about of everything in one device. A balanced device is a balanced life. 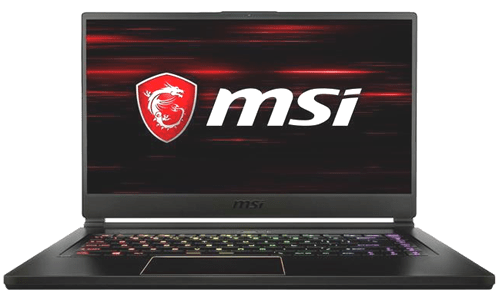 If you are not interested in the MSI GS65 and looking for an alternate gaming laptop that is well rounded the Alienware 17 R5 fits that mold. The laptop features a massive screen of 17″ and a chassis that is designed to move cables out of your way for a non-bothersome gaming experience as you destroy your enemies in whatever game you play. It holds the 8th Generation Intel Core i9-8950HK processor and an NVIDIA GeForce GTX 1070 OC with 8GB GDDR5 video card which will keep your games running at their highest capacity. 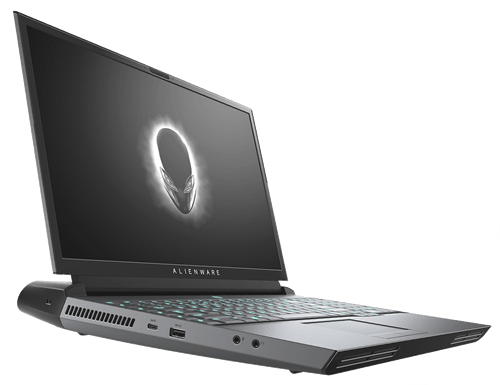 The Alienware 17 R5 also includes VR support so you can enjoy the VR experience on the go. It’s good to note that maybe you should just stick to the comfort of your own home when using your VR headset though. The Tobii eye tracking is also available, where Alienware 17 R5 can see what you see to enhance your skills and reflectiveness better in the games you play. It has a memory of 16GB DDR4 at 2666MHz and 256GB M.2 PCIe SSD + 1TB 7200RPM SATA HDD hard drive, however, lastly, it comes with a battery of 68Wh but can be upgraded to the maximum amount of battery power legally allowed with the 99Wr battery allowing up to 10 hours of gaming. So, with that said, it is an alternative to the MSI GS65, but it will cost a pretty penny more. the Dell G7 15 Gaming is a great laptop with over than above average specifications plus, it looks great as well. For everything laptops keep it here at SellBroke.com.